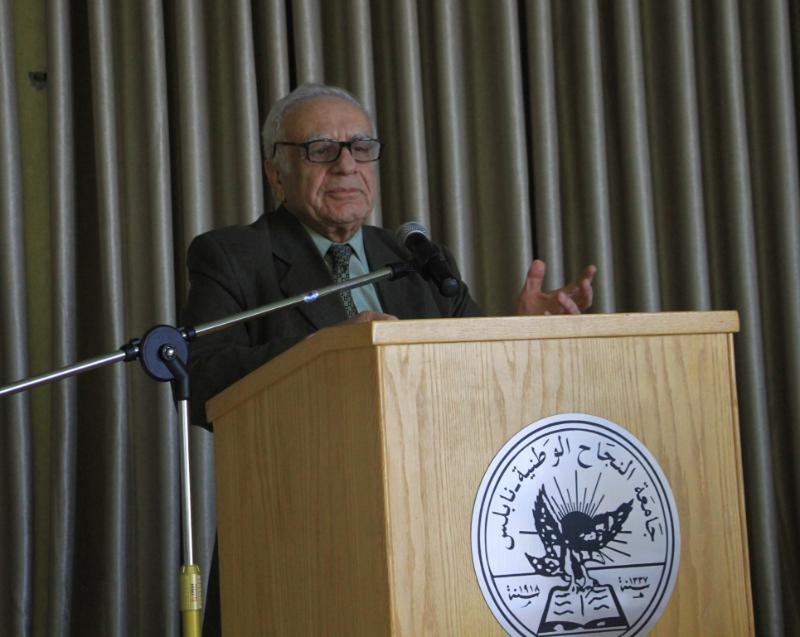 The ceremony was moderated by Dr. Aysar Yassin, Head of the Chemical Engineering, Energy and Materials Departments at An-Najah's Faculty of Engineering and Information Technology and was organized by Dr. Mays Shadeed and Dr. Majd Shehadeh from the Chemical Engineering Department. In the opening speech, Prof. Natsheh welcomed the attendees and expressed his delight about organizing targeted training workshops in the University and expressed his pride in being a member of the Higher Council for Innovation and Excellence as a representative of An-Najah University. Prof Natsheh highlighted An-Najah National University’s hope to inspire its students to be innovative to help its students embrace their creativity. 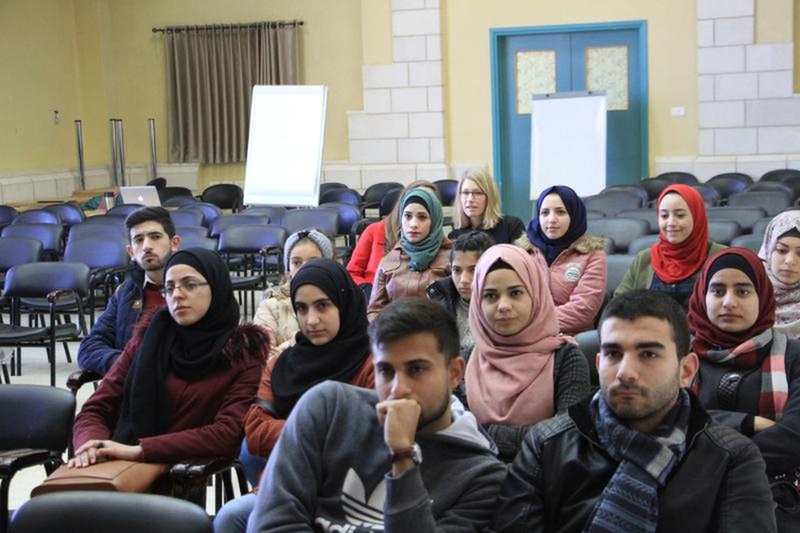 He also said that this workshop aims to expand the participants' knowledge in business and entrepreneurship as it is part of the University strategy; that is, encouraging students to establish their own projects to reduce unemployment in the Palestinian labor market. 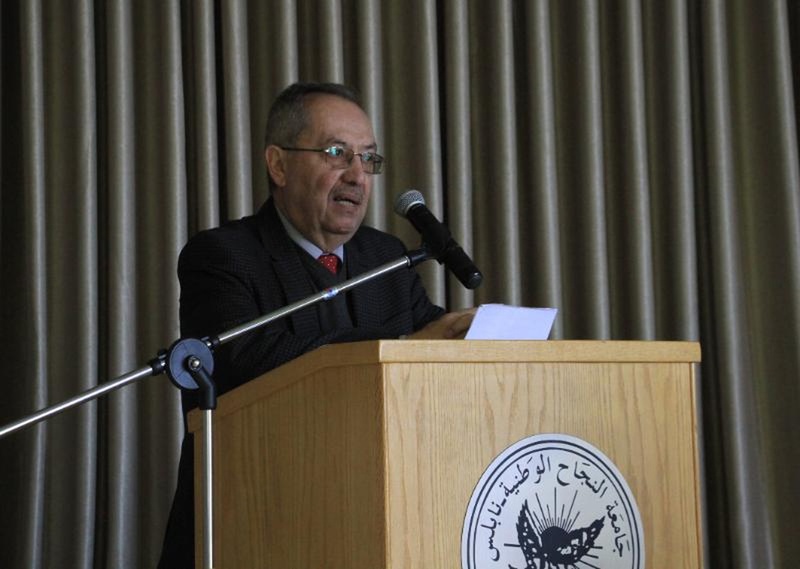 Professor Natsheh also expressed his hope that the University will offer an entrepreneurship programme in the future. Eng. Samara referred to the aim of this workshop which is aligned with the Higher Council for Innovation and Excellence's vision and mission to cultivate innovation and support inventors and to create an entrepreneurial ecosystem, organized by regulations and to provide solidarity for the Palestinian economy which is umstable. 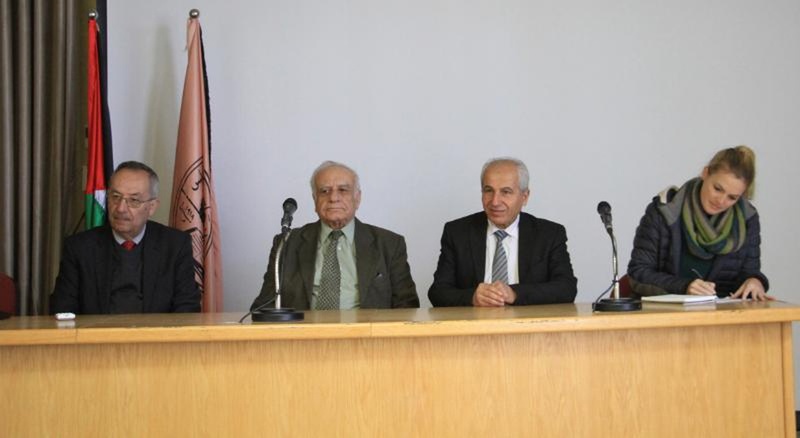 He also noted that the Higher Council was established by a Presidential decree. 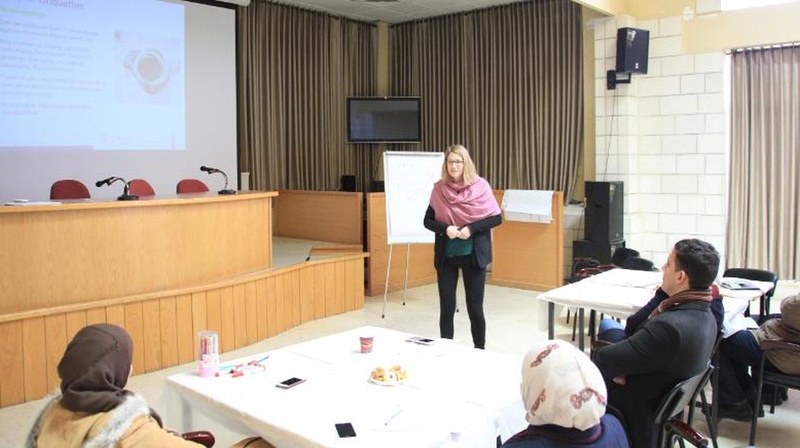 Lillian Volat in turn expressed her delight for being at An-Najah and stressed the importance of the cooperation with An-Najah National University and the Higher Council for Innovation and Excellence. Ms Volat also brought up the fact that this workshop is the first of its kind in Palestine and will enable engineering lecturers and students to identify business opportunities for resource recovery and reuse (RRR) across the waste and sanitation sectors, develop an RRR business model, study the feasibility of RRR business models by analyzing legal, institutional, technological, logistical, health and financial aspects and related risks. Lecturers and students will be able to define market positioning and financing for the implementation of RRR business models.